I read the funniest story the other day and I've just got to pass it on to all of you guys reading this. You know how you get all the kids on the street dissing the likes of Steps and Britney Spears then saying how Gatecrasher and Ibiza are the institutions of youth culture. Well blow me when I read that Tidy Trax (one of Hard House' beloved club nights) is actually owned by one half of the Jive Bunny team. JIVE BUNNY - surely you remember just how pants they were. 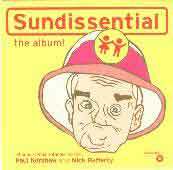 Well after I had finished laughing I sat down to the ultra trendy Sundissential and Club Mix 2001 compilations. Starting off with Sundissential which apparently features 34 Hard House classics. I set out on a fact finding mission to discover what hard house actually is and by the end of it I'm still none the wiser. After listening to the cream of hard house the best description I can come up with is "trance music for the dysfunctional and disillusioned" - basically its exactly what they play at Gatecrasher with slightly roughed up beats. Maybe its just my age but to honest any DJ's by the name of Gary D, The Act and Moonman surely belong in some backwater pub to rot in their urban hell. Hard House my arse!!!! 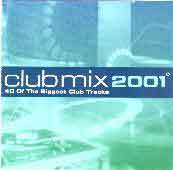 Next up I tackle Club Mix 2001 which isn't at all bad. For starters there are actually some tunes I've heard of and secondly (with the exceptions of the appallingly titled Nick Beat and DJ Zinc) anyone with dodgy names are instantly thrown back to the realms of obscurity. Amongst the numerous forgettable one hit wonders we actually get remixes of Texas, Emiliana Torrini, Dario G and of course the simply poptastic Alice Deejay. With the current marketing of dance music as an entertainment option perhaps the most revolutionary thing we could do is go out and buy some English folk records or alternatively a little Beethoven. I've never seen the attraction to the Ibiza dance scene but if forced I'd put my hands up and say "Club Mix 2001" wins the battle hands down. Alternatively you could just ignore it completely and look for something which generally excites the listener - that my friend is UK Garage.